Medicinal Herbs have been in existence since time began. For thousands of years generations have passed down real simple solutions for healing and curing disease. Even the drugs used today known as modern medicine uses medical herbs as a base. Prehistoric man used plants to treat physical complaints, as well as for food, seasonings, and shelter. As he used these plants through generation of trial and error he quickly discovered that certain plants were used for illness, while other plants were used for food, and yet other plants were discovered to cause death through poisoning. Folk medicine is actually an unbroken line of word of mouth tradition that stretches from the 21st century to clear back to prehistoric times. The study of herbs dates back 5,000 years to the Sumerians. In the written record they described well-established medicinal uses for plants like laurel, caraway, and thyme. The first known Chinese herb book written dates back to 2700 B.C., it lists 365 medicinal plants and their uses. 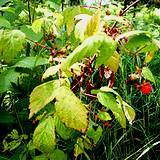 One of the plants listed is ma-huang, the shrub that introduced the drug Ephedrine to modern medicine. The Egyptians of 1,000 B.C. are known to use garlic, opium, caster oil, coriander, mint, indigo, and other herbs for medicine, food, and dyes. The Old Testament also mentions herb use and cultivation, including mandrake, vetch, caraway, wheat, barley, and rye. The ancient Greeks and Romans valued herbs for various uses. That is why many of the earlier herbal books are written in either Greek or Latin. Edible Flower Borage is not only an edible flower but also a medicinal herb. We have all grown to love and trust in Incredible Chamomile for a relaxing tonic, it's actually the most trusted medicinal herb. Chives are a great spice but also a surprising medicinal herb. Try Grandma's Parsley Wine Tonic and explore the medicinal benefits of parsley. Chill out and relax with the amazing herbal benefits of Lavender. There have been thousands of books written on medicinal herbs and their mixtures. 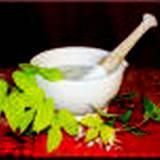 That is why the profession of herbalist became an extremely important position in ones community and is so highly respected. Medicinal Herbs Come In Many Forms! It's amazing to talk to people and find that when they think of medicinal herbs they mainly think of all those bottles filled with funny looking capsules that line the many shelves in health food stores. Medicinal herbs also come in the form of teas, juice, ointments, powder, syrup, tincture, bath salts and poultice. You can find herbs growing wild in your back yard. Take a walk through the forest and you'll find natural herbs in the most unexpected places. You've probably stepped on many herbs without even realizing it. Different parts of various trees are used for medicinal purposes. 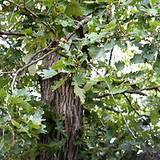 Like White Oak Bark, it's known as one of the most natural forms of pain reliever. Even pesky weeds that people are always pouring pesticides on are some of the best forms of medicinal herbs. Especially Dandelion, that little yellow flower that everybody fights to get rid of is actually an old fashioned healthy tonic. Many foods and spices you eat regularly are medicinal. You can even find herbs in soda pop. Hmmm, I wonder who remembers Moxie. When you really start exploring the history and possibilities of medicinal herbs you'll find that it can be a pretty exciting world. 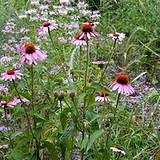 Planting your own medicinal garden can be a lot of fun. You can experiment with so many different designs including small gardens that can be grown right on you windowsill. Growing inside herb gardens can freshen your salads and flavor your soups year round. Before you get too excited about designing your medicinal herb garden there is only one thing more important than your design. Taking the time to learn about each herb before you plant it. Do you see that beautiful pink flower at the top of this page? That's called Foxglove. It's one of the most tempting medicinal herbs to plant because of the bright beautiful flowers that would brighten any herbal garden. But it's also one of the most dangerous plants to handle. 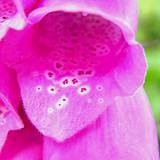 A heart medicine called "Digitalis" is cultivated from this ornamental plant. 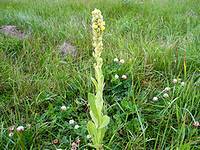 Just handling this plant with your bare hands can cause headaches, rash, and nausea and irregular heart beat. It's sad to think that many medicinal herbs are becoming extinct. In fact there are thousands of plants already extinct. Many of these herbs were only found in our rain forests. Others were more common and at one time they were abundant in regular forests but now are rare and extremely valuable to find. Before planning you medicinal garden mark Grandma's Wisdom in your favorite places or subscribe to Grandma's RSS Feed. You will never be asked for your email address or name. This way you will be able to identify your favorite medicinal herbs and how to design various gardens. You'll learn how to dry herbs and combine herbs for medicinal purposes. Lately there has been an increase in news reports of over-the-counter and prescription drugs being recalled due to dangerous side effects, growing and harvesting your own medicinal herbs can be a solution to side effects and pesticides. It's important to remember to never combine medicinal herbs without consulting an experienced herbalist. An herbalist knowledge is just as important when taking herbs as a pharmacist when taking prescriptions drugs.